bread and baking part 4: on the road to gluten-free | salty femme. Part 4 in a series on bread and baking. I’m going to say something fairly obvious about gluten-free bread. It has no gluten in it. No I know. Duh. But really. Those who have dabbled in gluten-free sweets or even baked from a gluten-free mix (even Betty Crocker makes GF mixes now) know that while it’s not completely the same, it’s pretty damn good. And every gluten eater can enjoy a slice of flourless chocolate cake, a good bowl of pudding, a meringue, or a French macaron. These are all gluten-free, by the way. That’s because sweets don’t depend on the actual gluten in the flour – in fact, the best glutinous sweet treats are made with pastry flour, which is low gluten. Bread flour? High gluten. That’s because the defining qualities of good bread – a good crumb (that network of starch and protein filled with air pockets) and a nice crust – are directly caused by the interaction of the proteins in the gluten with yeast and water. By the way, I’m loosely paraphrasing from a lengthy chapter in Harold McGee’s On Food and Cooking: The Science and Lore of the Kitchen. All this is to say that good gluten-free bread is a great deal harder than its sweet counterparts. And by the way, I lack a science minded brain so if you are some sort of chemist and the way I’m talking about this is making your brain hurt, just move on. But now that I bake gluten-free bread with some degree of regularity, I would say that my reasoning for continuing to love bread baking, and the ways that it is a spiritual practice, remain the same. I love to focus on my baking, though a lot of the focus here is on weighing different flours. I love to plan. And I really love feeding my friends, especially since I can now feed my gluten-free friends fresh bread. If you have been eating store-bought GF bread for awhile and you have a slice of the bread below, warm, slathered in butter! What a treat. And the true magic I see in GF bread? Farmers work in partnership with God to give us so, so many types of grains, nuts, and fruits to grind into flavorful flours. It took going gluten-free for me to recognize and appreciate them all. I’m proud that my spiritual practice of baking bread continues on and that, like all spiritual practices, it ebbs and flows and adapts to what’s happening in my life, health, and heart. With that, I give you a recipe! I love this recipe because if you have a few key ingredients in your pantry – tapioca flour and xantham gum* – and some of your favorite GF flours, you can make delicious bread anytime. gluten-free bread: check out those air pockets! This is more of a formula than a recipe – which is to say, it is very adaptable to whatever GF flours you happen to have in your pantry. The only one you need for this is tapioca. I highly recommend owning a kitchen scale. This recipe works better with ingredients measured by weight rather than volume, but you can make it work without. 2 cups (or 240 grams) mixture of brown rice, corn, quinoa, millet, amaranth, oat, coconut, almond, teff, and/or buckwheat flours. I usually choose three. Any additional yummies – mixed herbs, or cinnamon and a handful of raisins, or a handful each of olives and walnuts, you get the idea. Using an electric mixer (works best), place the yeast and sugar or agave in the bottom of the bowl. Cover with the warm water and mix for 10-20 seconds or so. Let the yeast foam and bubble for a minute. Mix in wet ingredients first (eggs, oil, vinegar) and then add the dry and any mix-ins. Mix well. It will be the texture of cake batter rather than bread dough – worry not! Pour into a lightly oiled 9×5 loaf pan and smooth the top. 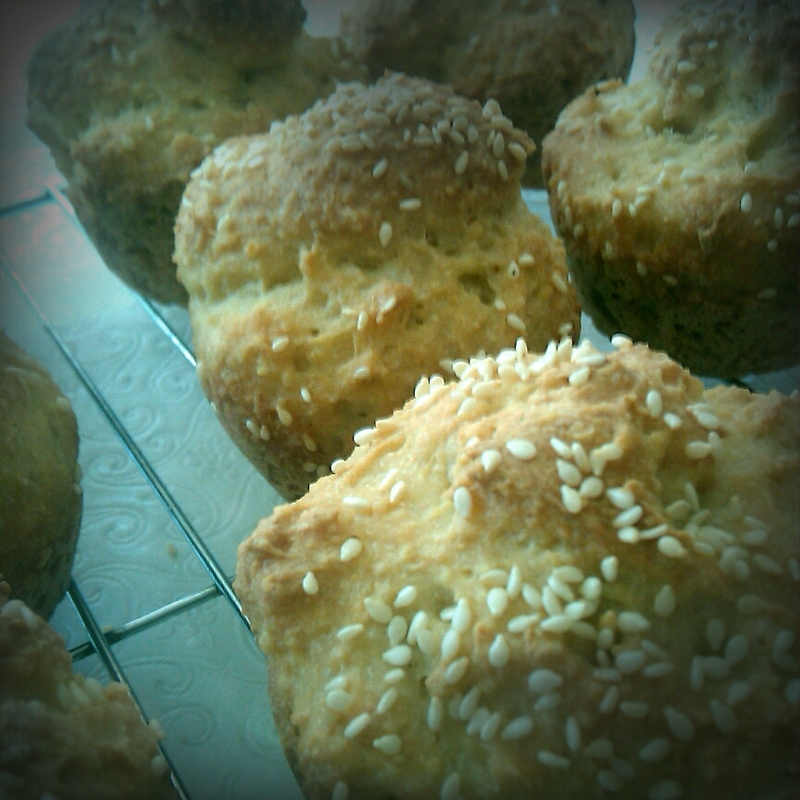 Sprinkle with sesame, poppy, or nigella seeds if you like. Cover with a clean dishtowel and let rise for 1 1/2 to 2 hours. 15 minutes before it’s finished rising, preheat the oven to 375. Remove the dishtowel and bake until golden brown, about 40 to 45 minutes. Let it cool for a few minutes out of the oven in the pan before removing. Remove to a cooling rack and let cool 30 minutes before slicing. If you are slicing to toast, I recommend slicing thin. If you have a good knife, this bread should slice easily. You can also made adorable rolls by baking in a muffin tin. If you do so, bake for only 25 minutes. 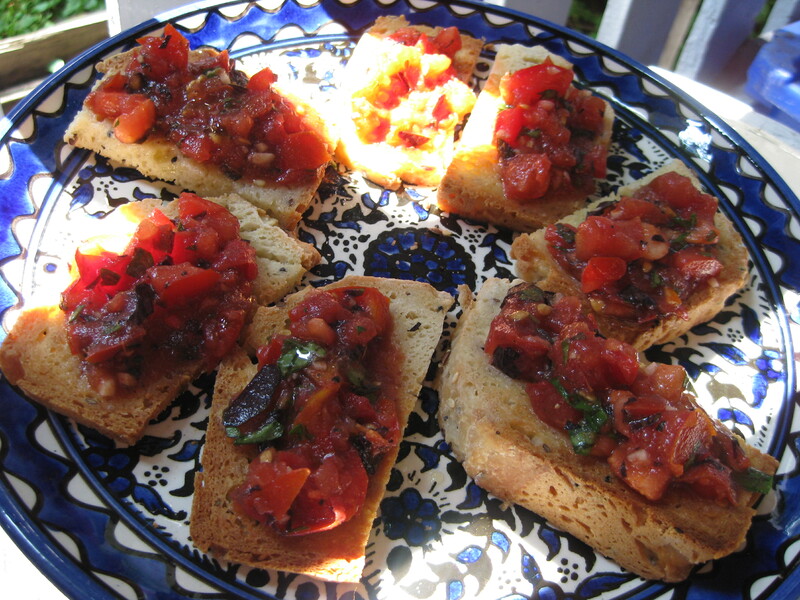 Perfect for lunches alongside a bowl of soup or with a few slices of good cheese. *A word about xantham gum. A lot of people are afraid of this product. It is some sort of weird thing made in a lab yada yada, I think it’s a byproduct of corn, you can do your research if you like. It’s used as a stabilizer in a lot of processed foods like creamy salad dressing and ice cream. If you don’t use it, the recipe ingredients need to be much more exact than they are here. The beauty of this particular recipe is that it tastes a little different every time, which I kind of love. You can keep track of your favorite combinations of flours but as long as the measurements are right, the texture should be great. 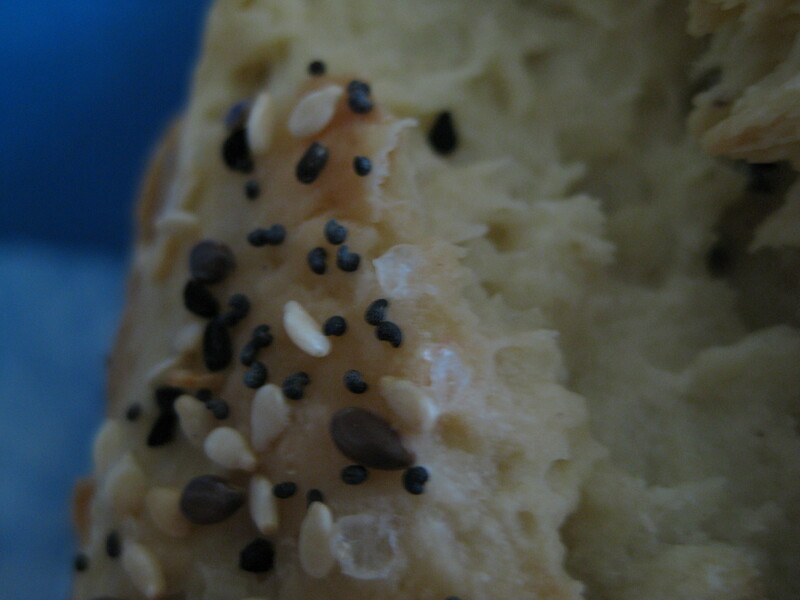 But if you want to try recipes without xantham gum, check out Gluten-Free Girl’s bread recipe.